When talking about replica watches, most of you guys will remember Rolex Submariner from Noob, Audemars Piguet from JF, PAM 441 and PAM 438 from KW factory. 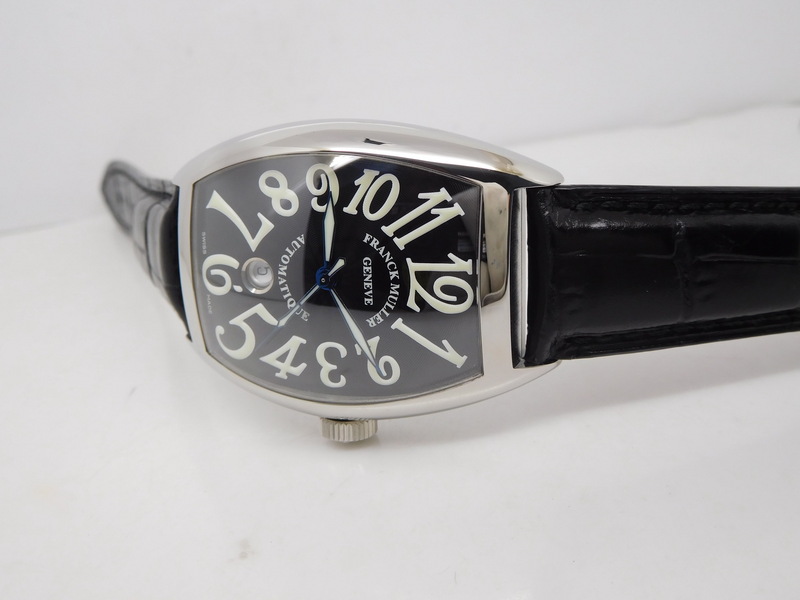 Few people know factories that make good quality replica Franck Muller watches. 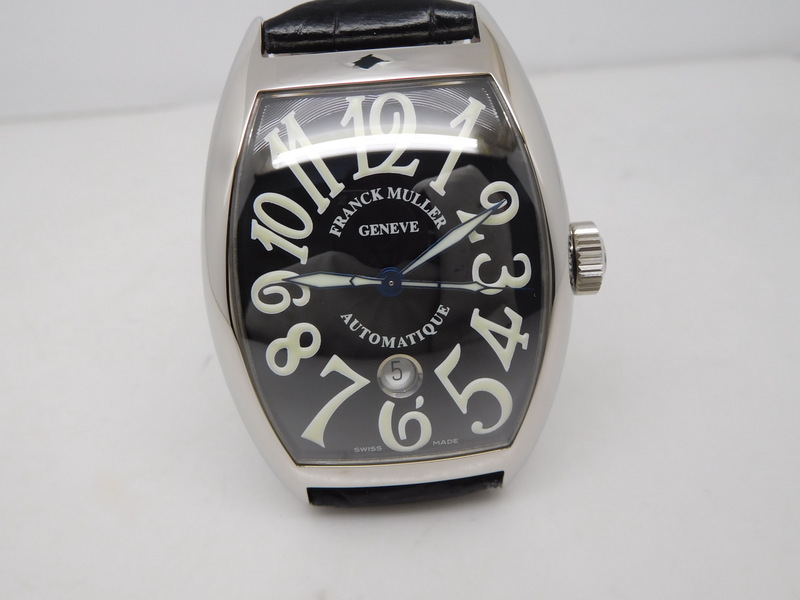 Actually G factory is good at making top quality Franck Muller replica watches. Here is a Casablanca 8880 model made by G factory, it belongs to 1:1 top replica. 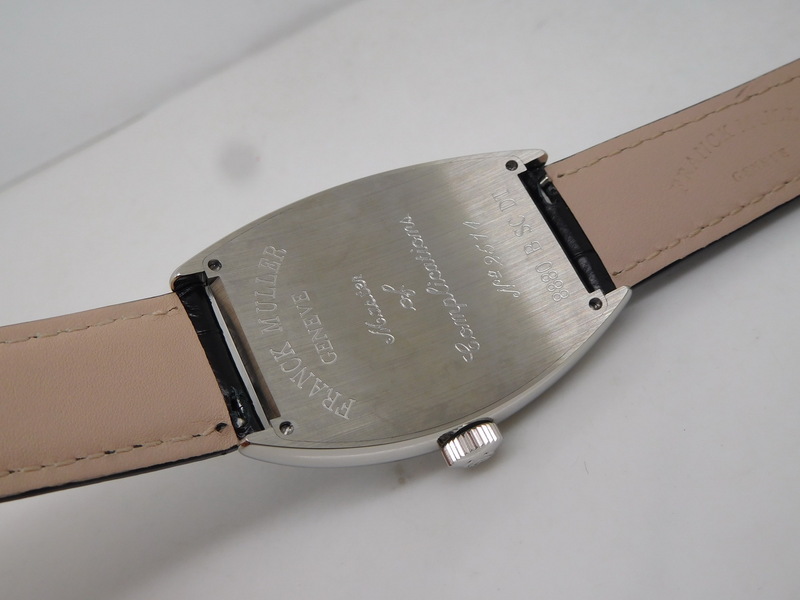 One of the Franck Muller watches that have been perfectly replicated. Franck Muller Casablanca is not easy to be replicated because of its exaggerated Arabic numeral hour markers and tonneau-shaped case. However, this time, G factory made a great effort in in replicating a perfect replica, they spent a lot of money to emply a watch master from Germany to research genuine Franck Muller Casablanca watches, this German watch master has a lot of watch-making experience because he was serviced at a Swiss watch company in the past. Now, this Franck Muller Casablanca replica in this post should be the best replica FM in our market. Here I will explain. 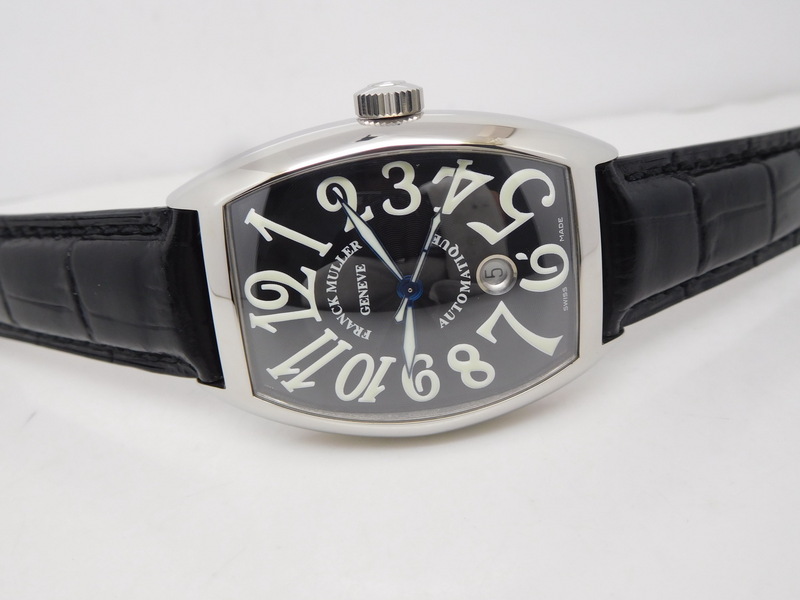 Tonneau-shaped case is one of the obvious features of Franck Muller. The replica uses 100% imported 316L stainless steel, which is then CNC machined, it is well polished. Seeing from the side, the case is arch bridge shaped, the arch is very large and full, it meets ergonomic standard and can perfectly fit your wrist. 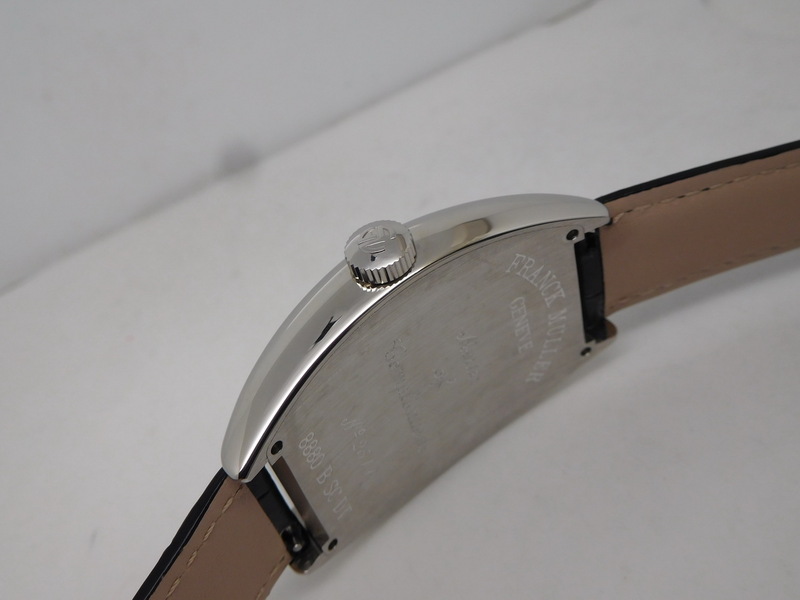 It is hard to make such an arch bridge shaped case, because it means that you will need such a crystal to fit this case, so this will not only cost a lot of money, but also a big challenge for watch factory. Case back is tightly screwed to fit the case, there is no gap to guarantee a good water resistance. Some people said that 99 percent of Franck Muller replica watches are not waterproof, while this replica Franck Muller Casablanca is in that 1%. The dial is also a big feature of Franck Muller. Especially its large and exaggerated hour markers. Black dial has a very refined sun-ray patterns, Arabic numeral hour markers are raised and applied white lume material, so are hand, they all emit super blue light in the dark. Blue steel hands look very charming. The enamel dial is completed by more than a dozen processes, the dial color and font thickness are exactly the same as genuine. GF uses an Asian ETA 2824-2 automatic movement, which has an extremly high stability and top-level polishing. The another reason why GF choose to install 2824 is because it has a low price, and covered by a solid case back, so there are a lot of advantages to use this clone ETA 2824 movement. 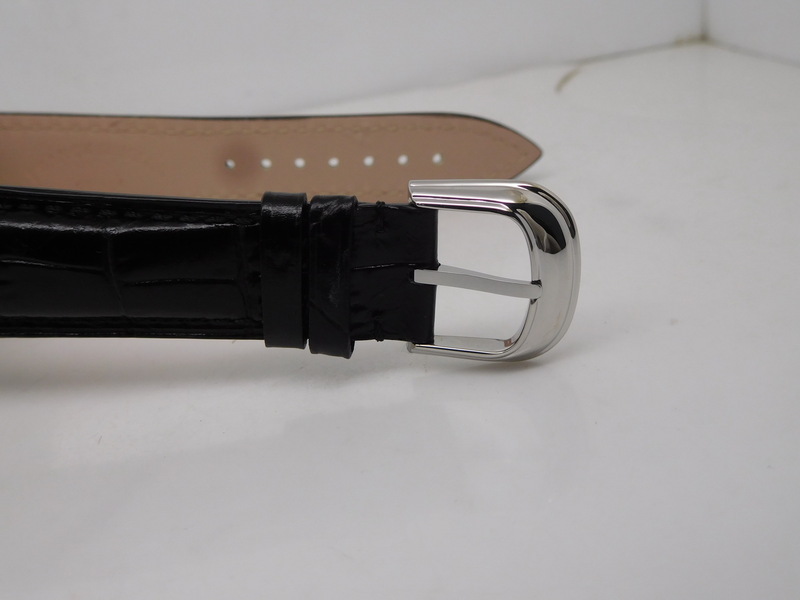 G is a new factory but it is the one that has paid their most attention in making replica watches, they did a good quality check on every piece of replica that is going to be delivered out, you do not need to worry about receiving a bad replica with issues. Here is a notice, please do not open the case back by yourself, or the watch will not gain a water resistance any more, if you want to open it, please ask for advice from us first.